This is the fifth and final installment in a five-part series of articles focusing on best practices to up your content marketing game on the “big four” of social media: Twitter, LinkedIn, Facebook and Instagram. Catch up on the first, second, third and fourth installments. Instagram boasts more than 600 million monthly active users, overtaking Twitter in 2016 in popularity. No longer an upstart network, Instagram was acquired by Facebook in 2012 for $1 billion, and it has since attracted the attention of brands seeking to capitalize on a visual platform. The network’s basic unit of communication is the square image or video, with captions, comments and likes a distant second place in terms of importance. Of the big four social media platforms, Instagram is the most unique. Therefore, your content marketing strategy must follow suit. Instagram users skew younger and more digitally savvy than other platforms. 59 percent of its users are between the ages of 18 and 29, and 31 percent earn more than $75,000 per year. It’s essentially the marketer’s dream: tech-friendly millennials with disposable income. Stick to the basics: High-quality, crisp images that viewers can quickly understand will get the best results. Brands with experienced photographers on staff or established audiences can take a few more liberties, but don’t bore your followers with uninteresting product photography that anyone can find on your website. Attention to detail: Instagram is the place to tell your brand’s story with visuals that align with and project your brand, so attention to detail is critical. Beyond crisp resolution, every element of the shot needs to work together as a whole to evoke a mood or feeling. Keep it simple: Avoid cluttered background or elements that obscure the main subject of your shot. Don’t rely too heavily on selfies or big, smiling group shots: Instead, try to capture a moment that doesn’t look like it was taken at a studio. Look for symmetry by using the gridlines feature on your phone for help. 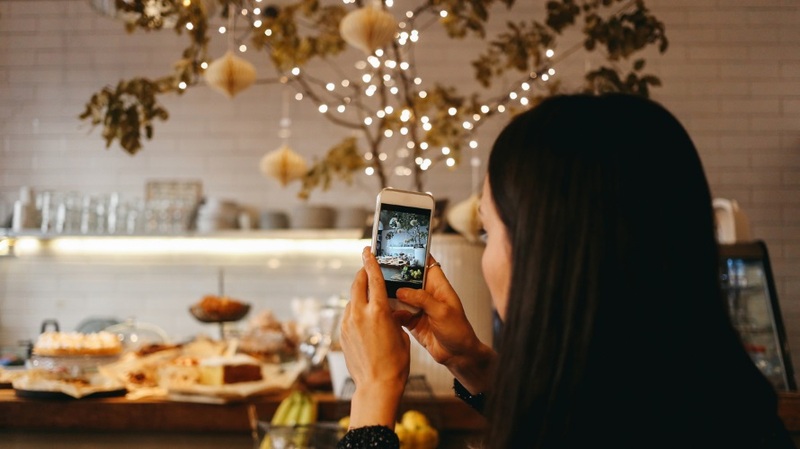 Check out this great guide for additional Instagram photo tips. Instagram feeds move fast, which means that a user who logs in each morning might not ever make it to the post you made yesterday at noon. In order to appear high up in a user’s feed, you must know when to reach your audience. There’s no exact science to this, as ideal posting times will vary based on several factors, such as work schedules and time zones, so testing is crucial. Set a posting schedule in advance and compare similar posts made at different times of day. Another key timing consideration is the ability to reply quickly to comments on posts. Failure to act fast can mean a missed opportunity or a critique left to fester. Once you’ve identified an ideal time of day, consider the ideal day of the week. Since people are more likely to make online purchases on Monday or Tuesday, your e-commerce calls to action should be used then. Save the memes for a Friday. Unlike Facebook, there’s no real difference between a brand page and a personal profile, meaning that businesses don’t have the same level of customization to stand out from regular users. This can actually work in the brand’s favor, as there are a variety of influencers on Instagram from which to choose—whether in exchange for free product or actual promotional consideration—who can put your brand in front of their audience.